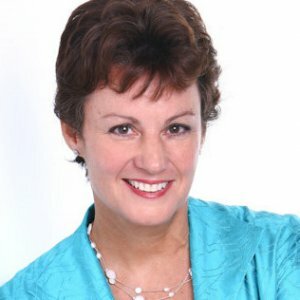 Tricia Molloy is a motivational speaker on change management through wise business practices. She works for organizations that want to inspire their people to perform at their best every day. Tricia is the author of “Divine Wisdom at Work: 10 Universal Principles for Enlightened Entrepreneurs” and the “CRAVE Your Goals!” ebook. Known as “The Queen of Serene,” Tricia’s wise, peaceful presence and common-sense advice are welcome in today’s challenging, complex business environment. Through Working with Wisdom talks, workshops, webinars and retreat programs, Tricia inspires professionals to achieve their goals faster and easier by capitalizing on the power of their subconscious mind and life-changing principles—like Visualization, Affirmations and Gratitude. A seasoned business owner and marketing consultant, Tricia also offers one-on-one, short-term Wisdom Mentoring for women entrepreneurs and business leaders. Tricia is a board member of the Georgia National Speakers Association and a member of the Network of Executive Women. She is a contributing author in “Good Business: Putting Spiritual Principles Into Practice at Work” (Unity House, 2010). The “Working with Wisdom for Project Managers” course and webinar series for professional development unit (PDU) credits is available through PDUs2GO. This program can be customized to focus on sales, customer service, leadership, teamwork wellness or other specific organization goals or event themes.